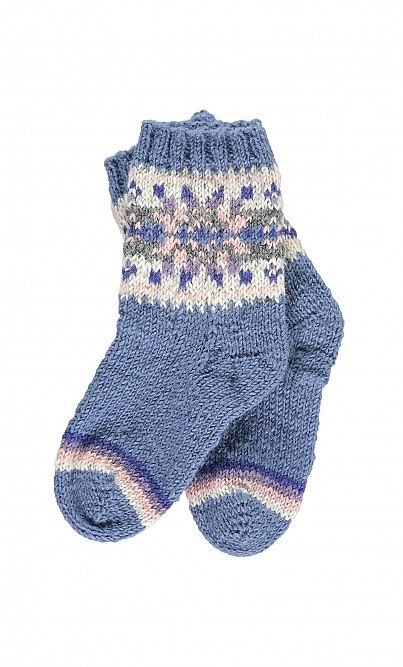 Lounge around the house keeping your feet toasty in these knitted socks. Handmade by artisans in Nepal. Each pair is unique. Fairtrade. L18cm. Wool. Cool wash.